BASKET, one of the iconic collections of RODA, is a project characterized by the extreme formal simplicity, and composed of elegant modular sofas and tables, which have been created to cross brilliantly the traditional boundary between indoor and outdoor and make elegant and sophisticated every living area. 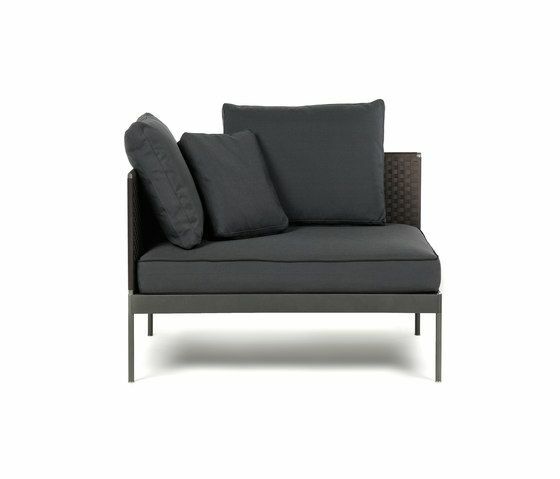 The sturdy stainless steel structure, coupled with the strict line of backrests and seats, are offset by the absolute comfort of the cushioning. BASKET is proposed with stainless steel structure in smoke colour with grey belts and milk with sand belts. A 100% outdoor company Innovation, design research, technology: RODA, Italian spearhead in the production of high quality outdoor furniture, proposes its own vision of the Italian design in the world, dictating with its collections the lines of a sophisticated and cosmopolitan style.